If you have ever experienced migraine, you know that it is a debilitating and sometimes incapacitating condition. Migraines/headaches are a way our body signals to us that our body is deficient in certain minerals. Most of the time, when the body is dehydrated and lacking certain nutrients, migraines may be repeated until we really pay attention to what we are putting into the body. Dehydration is not about a thirst that can be quenched with just drinking water at that time. Dehydration in this case is how your body has been living with insufficient water for many years, and deficient in certain minerals especially magnesium, and presence of toxicities. The three very important minerals that are helpful to remedy migraine are: Potassium, calcium and magnesium. 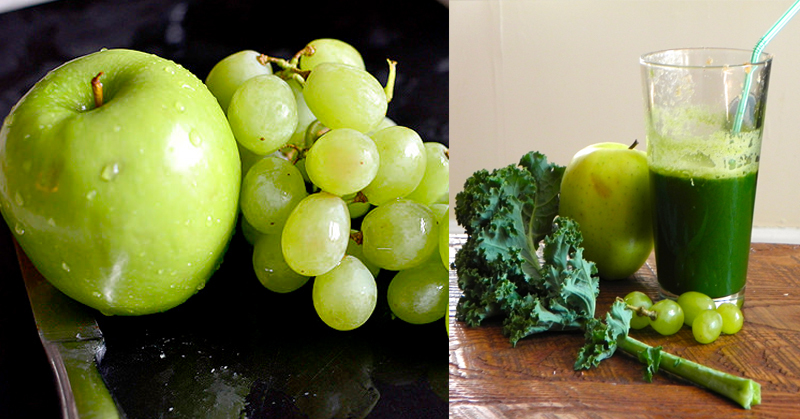 These can be found in abundance in this juice combo. Drinking PLENTY of water along with drinking this juice is crucial in helping to remove toxins from the body. In order for juices to be effective for relieving migraines, what you don’t eat are also important to keep the pains away. Over time, avoiding these foods and drinking this juice combo may help to reduce the recurrence and intensity of migraines. Some of the foods that contribute to dehydration and severe depletion of important minerals in our body that lead to migraines and possibly silent inflammation are: High fats foods, sugar, artificial sweeteners, flour products, dairy products, alcohol, caffeine, artificial food additives, chocolate and some nuts/seeds, just to name a few. 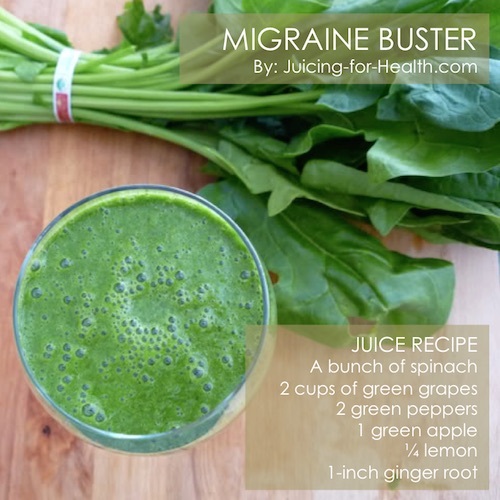 Go to this page for another migraine relieving juice recipe. Also include this magnesium-rich drink into your juice menu. Very good and useful information for migraine sufferers! Thank you so much for publishing very useful information on health! I have been suffering from chronic headaches and migraines for close to a year. I have had MRI which was normal and tried several medications. While the medications reduce pain, I still have some semblance of a headache daily. I am going to give the juicing a try. Thanks for the great info. Excellent article!!! I used to have migraines EVERY DAY but after reading this and drinking this green juice my headaches and migraines reduced to almost zero. Thank you so much!